Usually, I try to maintain a somewhat healthy diet. Fruits, veggies, whole grains, lean beef — all that good stuff. But sometimes, just sometimes, you need to be deviate from the norm. Maybe it’s a birthday or maybe you need some cheering up after a nasty losing streak (I know that feel, bro). Crème brûlée is just the sugar fix you need. 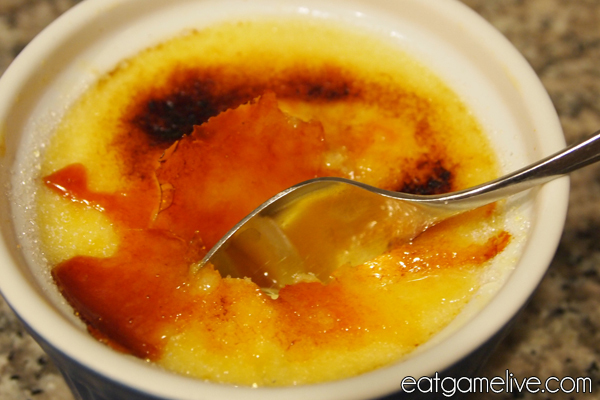 Crème brûlée is a deceivingly simple dish. 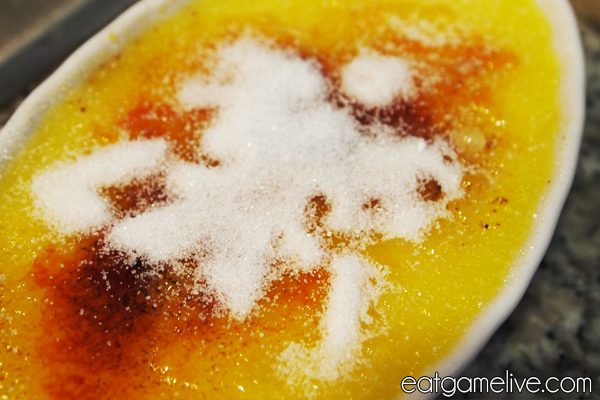 Of course, there are many variations of Crème brûlée and this Hellion brûlée pays homage to the classic version. Prep time will be about 30 minutes. Total cook time is about 45 minutes. This recipe will serve about 6 people. Please note that you will need to allow the crème brûlée to cool in the refrigerator for at least an 1 1/2 hours before serving. 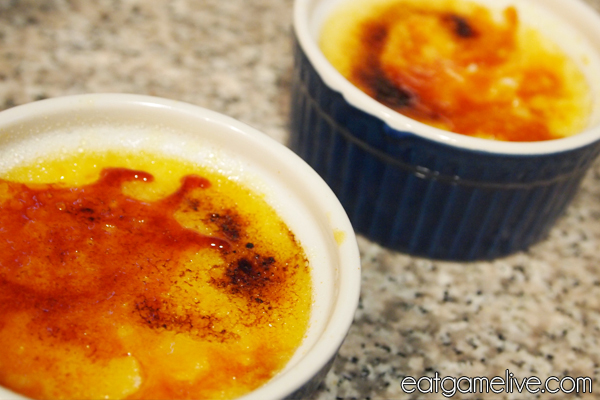 This recipe is also a slightly modified version of Alton Brown’s traditional Crème brûlée recipe. Pre-heat your oven to 325°F (~163°C). 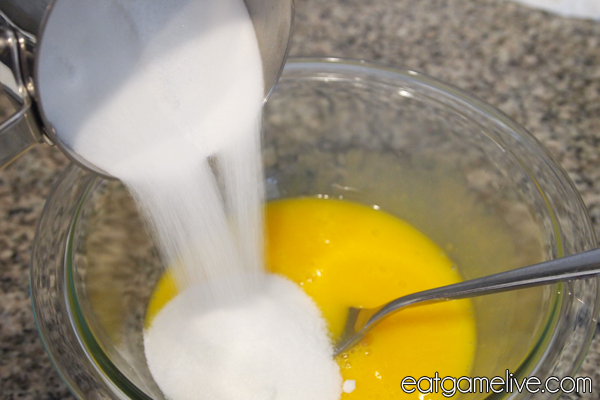 Once you’ve separated all of the yolks, add 1/2 cup of your sugar into the eggs. Beat until the mixture becomes thick. This process is called creaming. Place a saucepan on medium heat. Add your cream to the pan. Add your vanilla extract to the cream. Allow the cream to get hot, but not hot enough to boil. 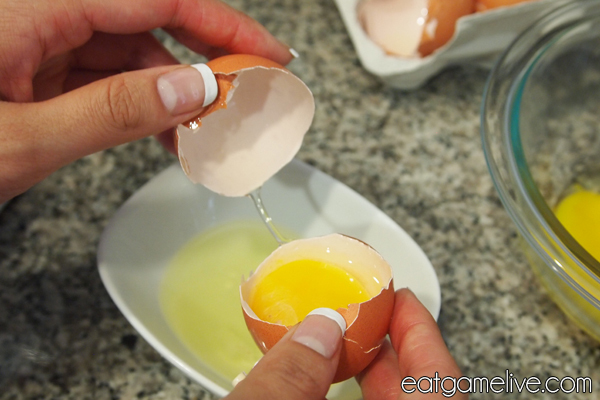 Remove cream from heat and slowly add the cream to your egg mixture. This process is called tempering. Try using a ladle to slowly add the cream to the egg mixture. 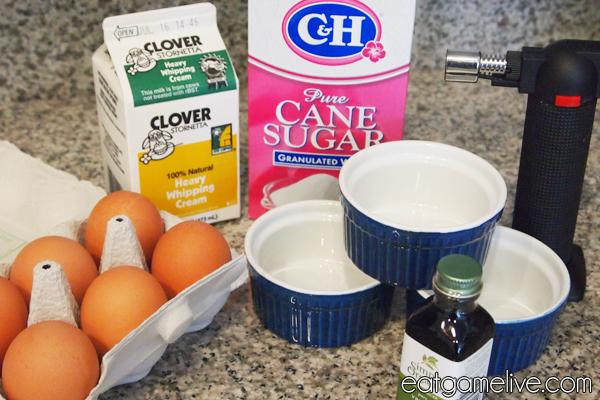 Stir your egg mixture as you add the cream. Pour cream and egg mixture into ramekins. Pour water into the baking dish. There should be enough water to cover the ramekins more than half way. Let the crème brûlée bake for about 45 minutes. 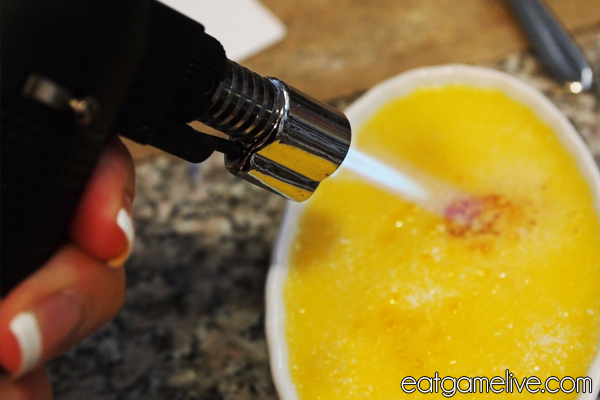 Remove crème brûlée from the oven and let cool on the counter for about 30 minutes. Place crème brûlée in the refrigerator for about an hour and a half. When ready to serve, distribute the remaining 1/2 cup of sugar among the ramekins. Use a torch to burn the sugar until it caramelizes. Torches are awesome; but please be very careful during this process! And that’s really all you need to do to create this classic dessert. GGWP! Cracking the caramelized sugar layer is a pretty satisfying feeling! It’s even more satisfying knowing that you made that pretty little dish all by yourself. Yum. 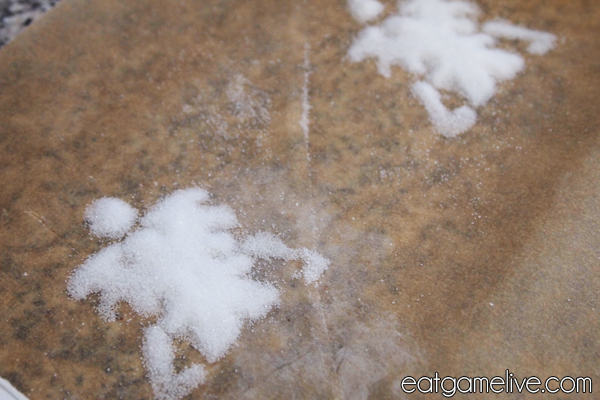 If you’re a Terran fan and have a ton of extra time on your hands, you can try making a sugar stencil. I posted that image a while ago on r/starcraft and it seemed well liked. Unfortunately, it doesn’t look as pretty up close. The original idea was to try to burn the Terran symbol into the crème brûlée… But, thanks to thermodynamic properties of sugar, that idea did not work out. Oh well, at least I can make sugar terrans everywhere! 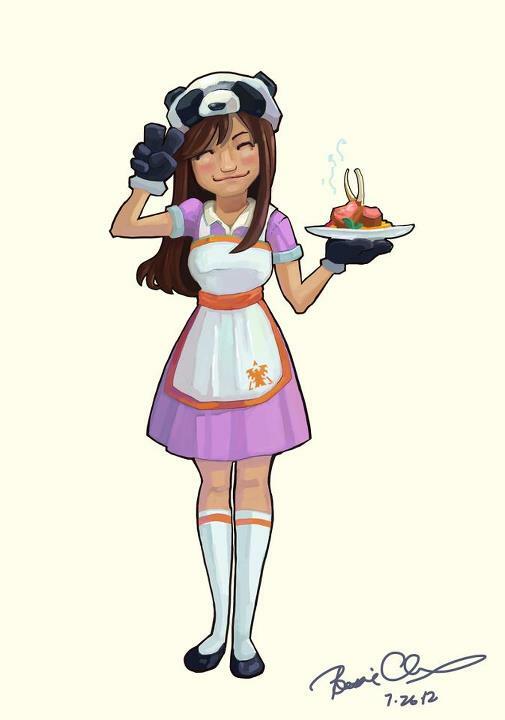 A good friend of mine drew this adorable little character of me! She’s an artist by trade, but she’s also an amazing baker. Basically, she kept me and the rest of the office content with her delicious cookies. Ahhh cookies! This entry was posted in starcraft and tagged creme brulee, dessert, sugar, terran by admin. Bookmark the permalink.